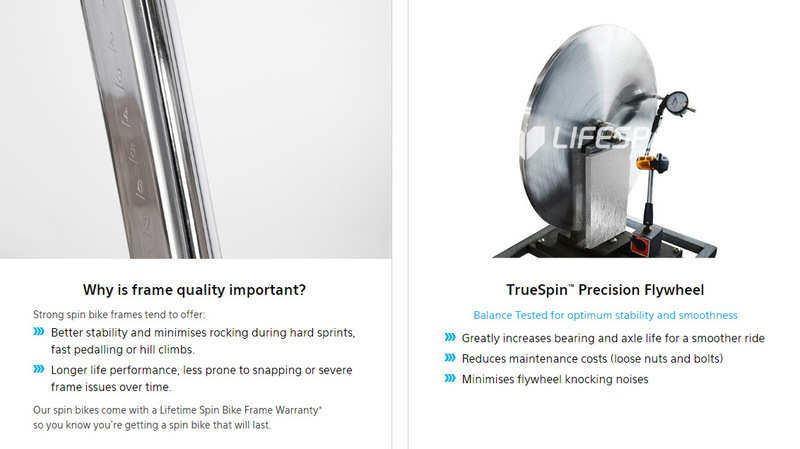 Lifespan SP-870 Spin Bike is one of Lifespan's top of the line Spin Bikes that is built with quality components to ensure long life, low maintenance and optimum spin bike performance to help achieve your ideal body statistics. 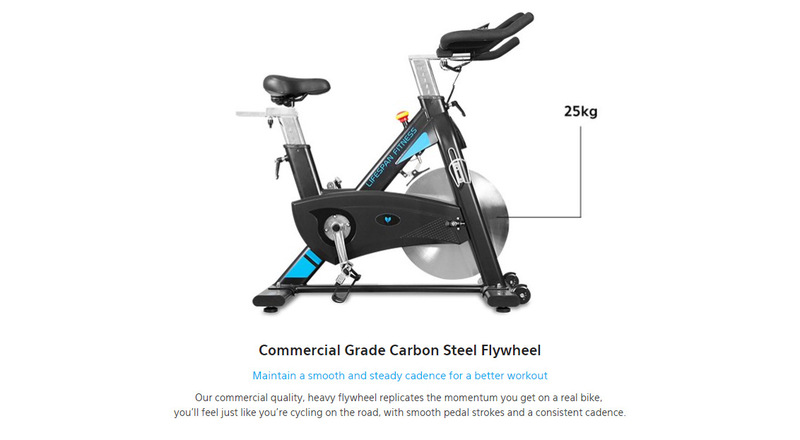 SP-870 is a spin bike gives you commercial quality and truest feel of biking on the road with its carbon Steel Flywheel. 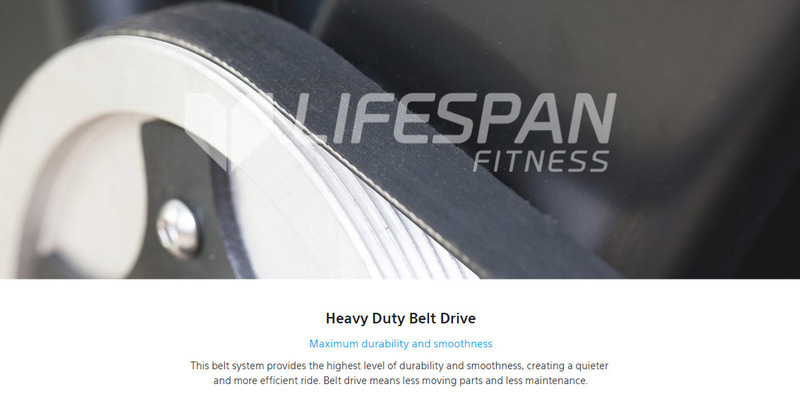 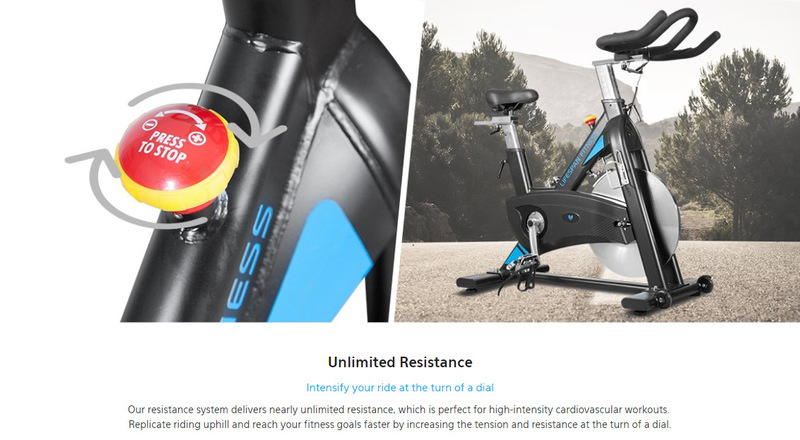 Get your fitness goals faster with almost unlimited resistance that you can adjust with a one simple turn of the dial. 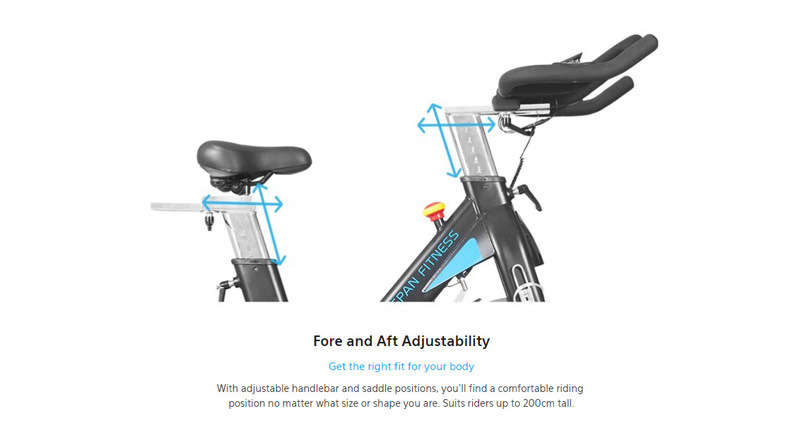 Burn calories like you are biking uphill with its better stability and less rocking movements provided by its ergonomic frame size and frame quality. 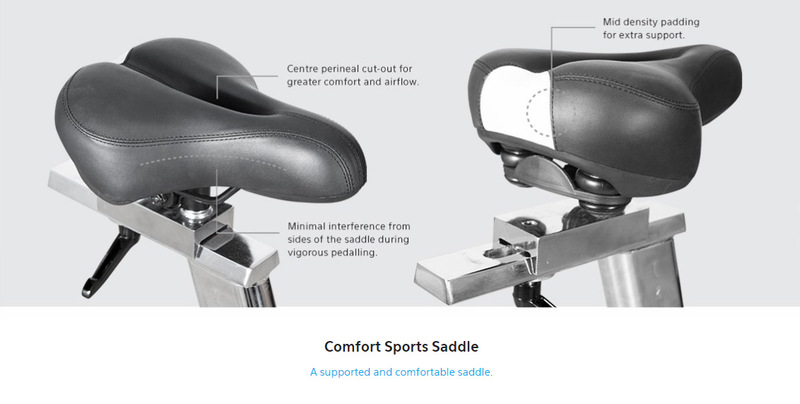 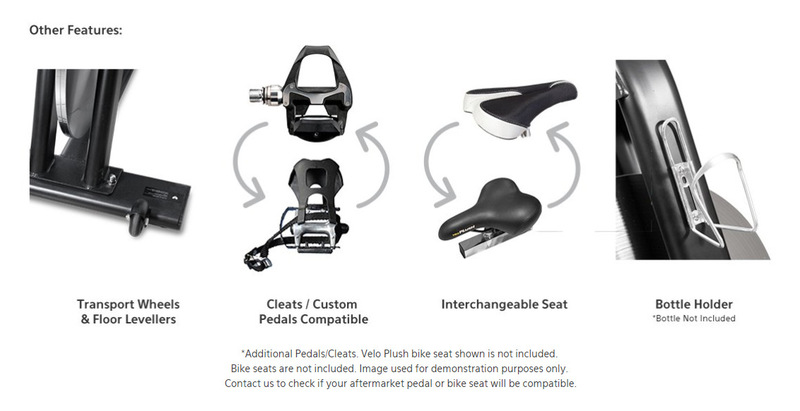 Its adjustable seat and handlebar will help you get a comfortable position during workout. 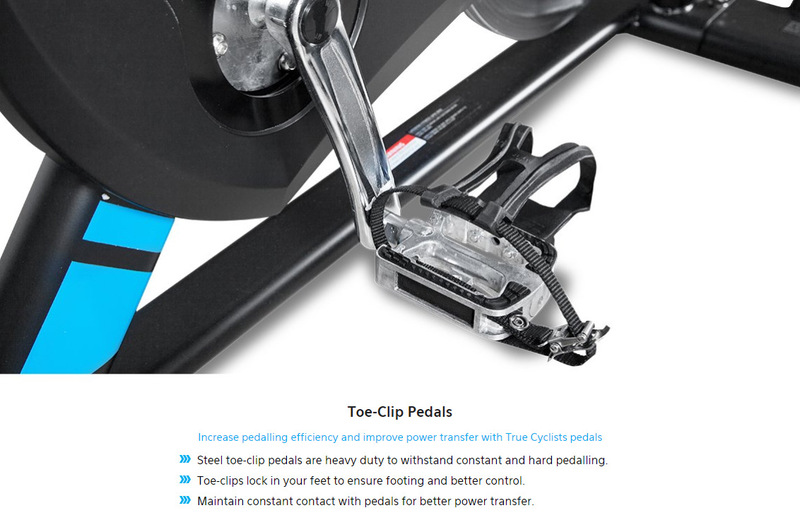 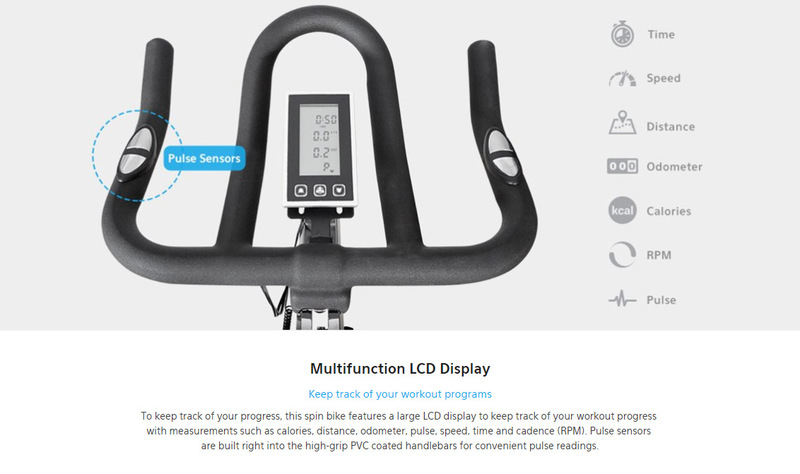 It has large LCD display to show your workout statistics with pulse sensor on its handlebars and a bottle holder on the side to make a every spin bike sessions convenient. 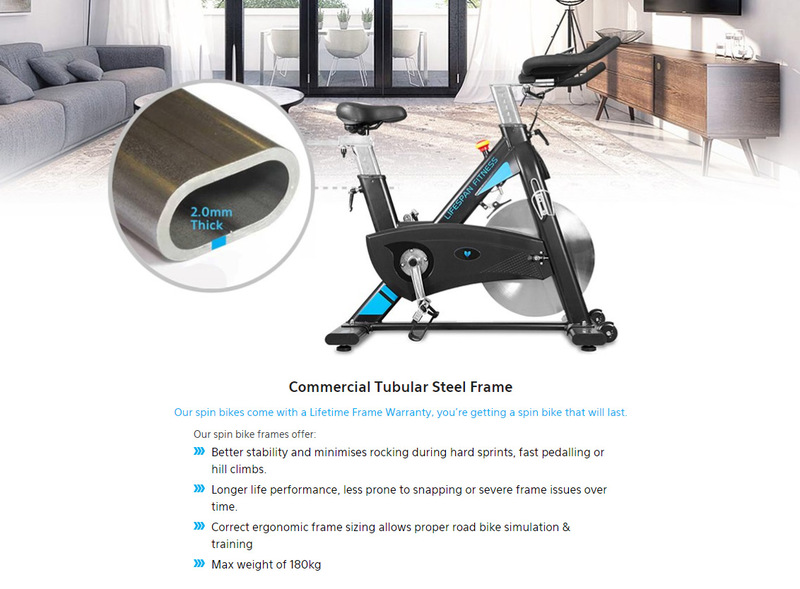 Lifespan SP-870 Spin Bike boasts its Heavy duty belt drive, TrueSpin Precision Flywheel and a strong frame with lifetime frame warranty to give the confidence that you are getting a spin bike that will surely last.